tl;dr: Read the Quick Start Guide. 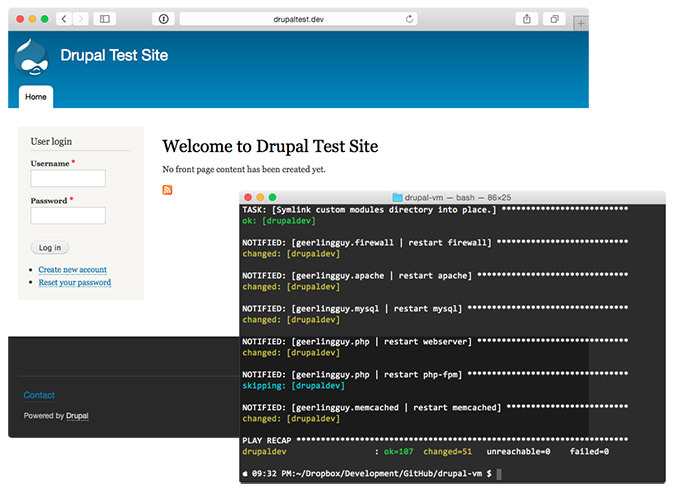 Drupal VM makes building Drupal development environments quick and easy, and introduces developers to the wonderful world of Drupal development on virtual machines or Docker containers (instead of crufty old MAMP/WAMP-based development). It should take 5-10 minutes to build or rebuild the VM from scratch on a decent broadband connection. This VM includes many convenient utilities for local development, most of which can be enabled or disabled as you see fit (not everyone needs or wants an extra bundle of junk that they don't care about wasting their workstation's resources!). 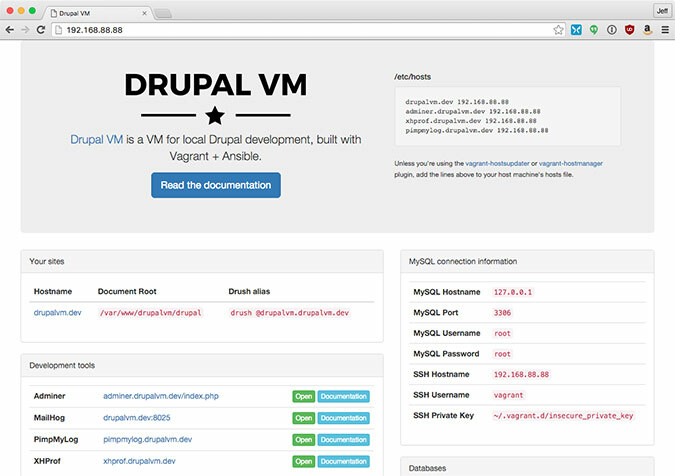 Read the Drupal VM Documentation to learn more about how Drupal VM can fit in your workflow. Maintained by Jeff Geerling (geerlingguy), author of Ansible for DevOps. Copyright © Jeff Geerling. Hosted by Midwestern Mac, LLC. Freelancer theme by David Miller. Drupal is a registered trademark of Dries Buytaert.